Your career is a direct result of hard work and a substantial investment of time and money. Doesn’t it make sense to fully protect it? A disability could render you helpless by taking away the one thing that you need to safeguard all of your assets: your income. Home, auto, life, and health insurance are certainly valuable investments, but failure to couple them with disability insurance will jeopardize your full financial security. For example, health insurance might cover the potential fiscal pitfalls of the medical bills that result from a disability, but the rest of your financial obligations are not going to come to a halt. Vehicle payments, mortgages, insurance premiums, and even savings for the future are all important expenses that cannot be ignored just because you are disabled. Unfortunately, the chances of becoming disabled might be greater than you think. 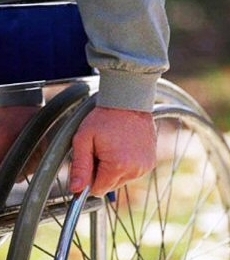 According to the 1994 Statistical Abstract of the United States, in the course of a year, odds are that 1 in 10 people between the ages of 25 and 64 will suffer a disability. When comparing that ratio to the odds of being victim of a house fire (1 in 122); injured in an automobile accident (1 in 160); or even of death (1 in 117), the advantage of disability insurance is clear. A February 2000 article in the New York Times reported that 1 in 7 people between the ages of 35 and 60 will become disabled for five years or more. Despite these glaring statistics, many people still take a substantial risk by ignoring the benefits offered by a disability insurance policy. In 2000, a survey by The Consumer Federation of America and The American Council of Life Insurers found that 82 percent of people do not have long-term disability insurance or believe their coverage is inadequate. The alternatives to disability insurance all carry a degree of risk or have some sort of drawback. Social Security benefits are difficult to qualify for and the disability must prevent you from working in any occupation. Worker’s compensation benefits are limited and only cover job-related sickness or injury. Other options—relying on savings, family, and/or friends—are not guaranteed and have considerable downside. Guard your assets—don’t leave yourself vulnerable by neglecting to protect your income. yes disability is a serious problem,, you dont know when it will come, first things most when u land on a job please choose an insurance company that can safeguard you, that can protect you and your money for the future accident and god forbid not to come!!! I follow your blog for quite a long time and should tell that your articles always prove to be of a high value and quality for readers. Investments on The Finance World For News and Information Around The World On Finance » Blog Archive » Why Do I Need Disability Insurance?